It seemed almost like a bad omen when my KitchenAid mixer (and wedding present from my parents) broke a mere 4 months after we tied the knot. It was only the lever that lifts the bowl, but still, jamming kitchen towels underneath to get the bowl to the proper level was not convenient. 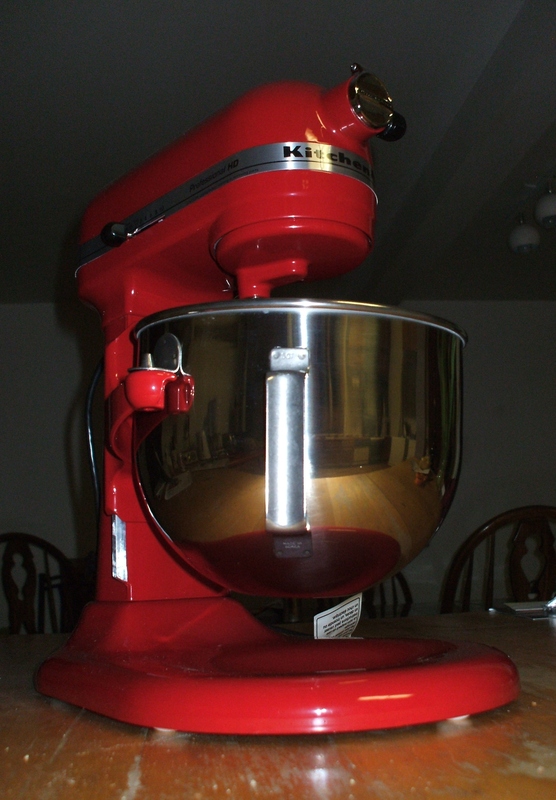 Luckily, KitchenAid has an awesome warranty, and even better, my Mom keeps all of her important receipts and just one week after speaking to a representative I had a brand spanking new (and still red!) mixer. To christen my new mixer (and to make sure it worked) I mixed up a batch of pizza dough from the April/May 2008 issue of Fine Cooking. Yields 4 individual pizzas or calzones or 2 stromboli, each serving four. It’s best to mix the dough at least a day before you plan to bake. The dough keeps for up to 3 days in the refrigerator or for 3 months in the freezer.